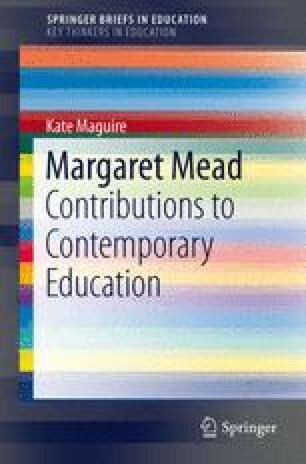 It would seem relevant to look more closely at some of the Mead’s ideas on the rearing of children as it is there that education begins. Research into childhood development was a preoccupation of the twentieth century, an immensely valuable preoccupation. During this period we came to know there were questions to be asked and to learn what those were. The ‘why’ was more obvious. The world had endured two major wars of brutality and massive losses which had stimulated a rapid increase in science and technology already initiated by the previous century’s preoccupation with industrialising, consumerising and monetarising society. The second war had accelerated science and technology to such an extent that it resulted in the production of a weapon that had the power for the first time to wipe out all life.